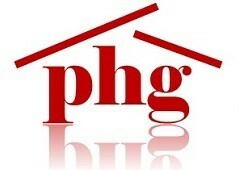 PHG Consulting is a firm of consulting Civil and Structural Engineers, based in Cardiff, South Wales. We are passionate about what we do, and have established an excellent reputation for the quality of our work. We work in all sorts of diverse areas, almost anywhere that a “structure” of some sort is required. These include, housing, schools, hospitals, public buildings, art sculpture, technical assessments, structural assessments and much more. An example of the more diverse work we do is to regularly assess local museum sculptures and structures for general safety as some of these can be very large and are located in crowded public areas. We like to get to know our Clients well, and in turn they get to know us well. Not all Clients are repeat business Clients and that is the nature of our work, but many are, and around 85% is simply from repeat business from established Clients that we serve well. Much of our work involves working closely with other professions, such as Architects. If you think we may be able to assist you, please get in touch as we would be happy to speak to you. There are a myriad of different professions in our field with a fair amount of overlap in what each profession does. We always ensure a professional service and as such if we feel a different profession would help you better with your requirements we will endeavour to steer you in the right direction. We support and also assist many local good causes, particularly within Engineering and the Arts; and we actively promote Engineering within our schools by giving up our time to speak to children in local schools. We are also on the Institution of Civil Engineering panel for Fairness, Inclusion and Respect (FIR) and also the South Wales Committee of the Institution of Structural Engineers. If you are a school and feel we can assist, please do not hesitate in contacting us.